Pokemon 21 film limited screening dates confirmed! Hello trainers! I got some exciting news for everyone who loves Pokemon. 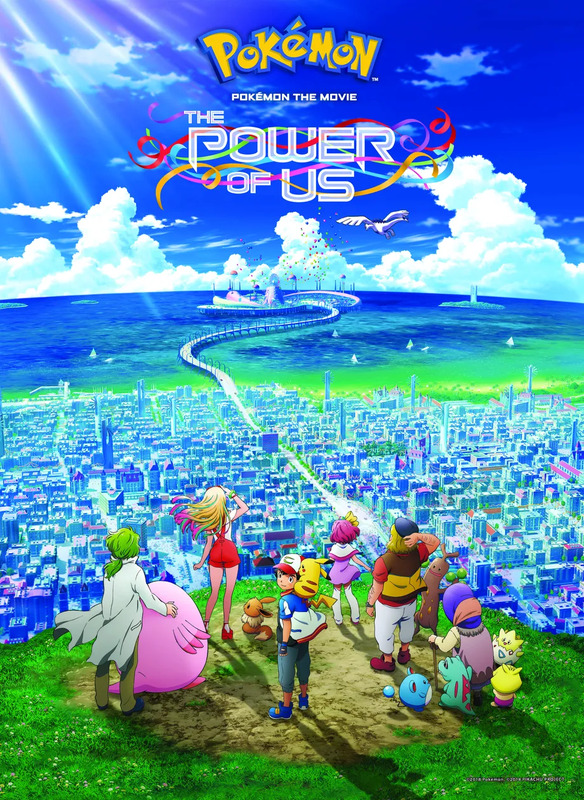 The official Pokemon Company announced that the 21st Pokemon film, Pokémon the Movie: the Power of Us will be in English Dubbed and will have limited screen dates at the movie theaters. According to Fathom Events, the movie will be screening in theaters on November 24, November 26, November 28, and December 1. New Games for Sonic the Hedgehog and Pokemon! A new Sonic game and a Pokemon Switch? This sounds like something you would hear from Chris-Chan and his webcomic of Sonichu. Zap to the Extreme lol. Yesterday, Nintendo recently revealed a new Pokemon game and it is available on Nintendo Switch. Revealed in a trailer, this new game will play like the traditional Pokemon games on the handheld systems with a combination of catching Pokemon like Pokemon Go. 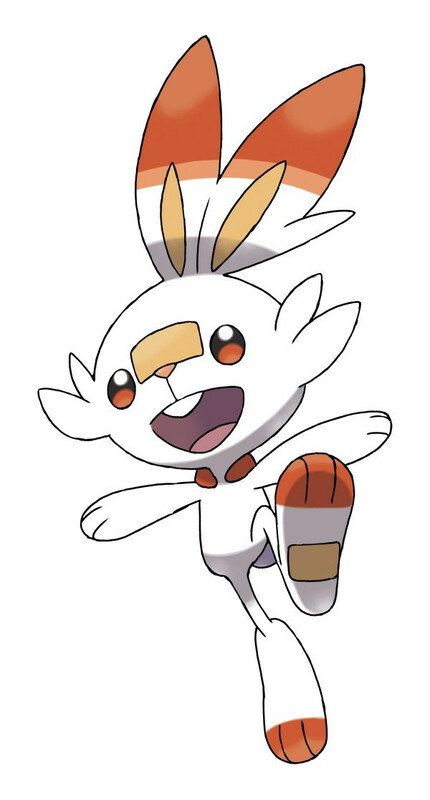 Just like the games, there will be two versions of the game in which will allow players to start with either a Pikachu or Eevee. The games is called Pokemon: Let’s Go, Eevee! and Pokemon: Let’s Go, Pikachu! In this new game, players will be able to walk with their Pokemon and battle wild Pokemon and trainers; pretty much do the same you would do in the previous games. As a twist, in order to catch Pokemon, players will have to attempt and try to catch Pokemon just like the phone game Pokemon Go! Players will be able to carry their caught Pokemon in a Pokeball controller in real life to bond and even transfer Pokemon from the phone to console. This Switch game will come out in November 16th, 2018 just in time for the upcoming holidays. Originally as a teaser, Sega has finally revealed the mysterious Sonic the Hedgehog racing game. Revealed in Twitter, this new game is called Team Sonic Racing. Thanks to the blog site SCORPZGCA, it was actually leaked by Walmart. According to the game’s description, players will be able to play as Sonic and his friends and customize their vehicles and also use the power of the Wisps. The game will be available to play on PS4. X1, Switch and Steam and it will come out this upcoming winter. Remember the news of Amazon getting rid of the anime streaming service Anime Strike? Well, Amazon is back again but this time, they are targeting Pokemon. However, there is a catch to this service. In order to use Pokemon Channel, you have to be a Prime member AND you have to pay $3 (USD) a month. If you are curious about this, they are offering a seven day trial to Pokemon Channel. Are you going to try Pokemon Channel? 2017 has been one hectic year for all of us. As we approach the end of 2017 and begin anew for 2018, get ready for new anime series and movies. After watching my blogger friend Shay Taree’s recent video “My Top 5 Anime’s of 2017“, I felt compelled to do a list of anime I enjoyed this year. In this list, I will be sharing you guys what anime I seen this year and what I enjoyed the most. Some of the these anime may not be 2017 but it’s something I personally enjoyed. After you get done reading, go check out Shay’s channel and blog!  I got into this anime after hearing so much positive reviews from fans. If you like action anime and superheroes like DC comics and Marvel, you will like this anime. In this anime, the story is about people having these special powers called quirks. These quirks are special traits that give people powers and some people use them to become superheroes. 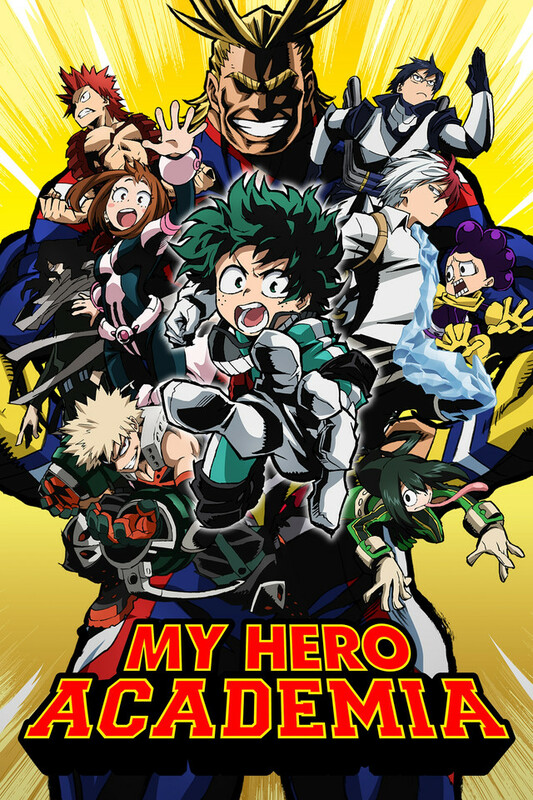 The story is about a young boy named Izuku Midoriya who was born without a quirk but he wishes to become a hero like his idol, All Might. After a recent event and encounter with All Might, Midoriya is trained by his hero and signs up with other students at U.A. High School. This anime has amazing music for the opening and ending songs and I enjoyed the combat. Watching these characters use their powers and face challenges was so good that I was on the edge of my chair. 4. Pokemon the Movie: I Choose You! As a way to celebrate 20 years of Pokemon the anime and video game, Japan decided to revamp the first journey of the protagonist Ash and Pikachu. From their first encounter and to test their friendship, Ash and Pikachu start their adventure in Kanto and in search for Ho-oh! This is movie me and my friend Allie enjoyed seeing. Even though we both agreed that the movie was different compared to the first season of the anime, it was good to see Ash start from the beginning of the series. 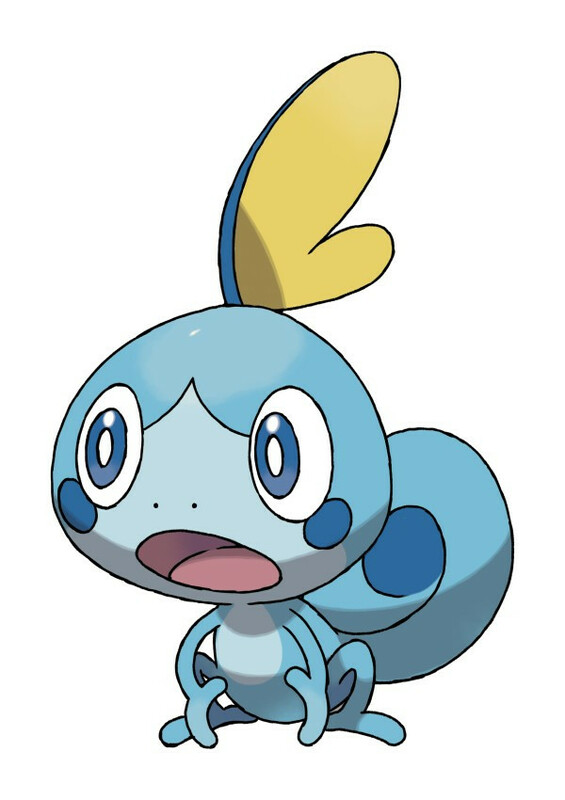 There was stuff I didn’t really like such as fast pacing moments and they replaced Ash’s key friends Misty and Brock with other characters supposedly playing their roles (one uses water Pokemon and the other is a medic). Still, we both enjoyed the main Pokemon song! Being the third film series, Eiichiro Oda takes the helm again and creates an original story for the Straw Hats. After defeating Doflamingo, Luffy and his friends arrive to the city of gold called Gran Tesoro. 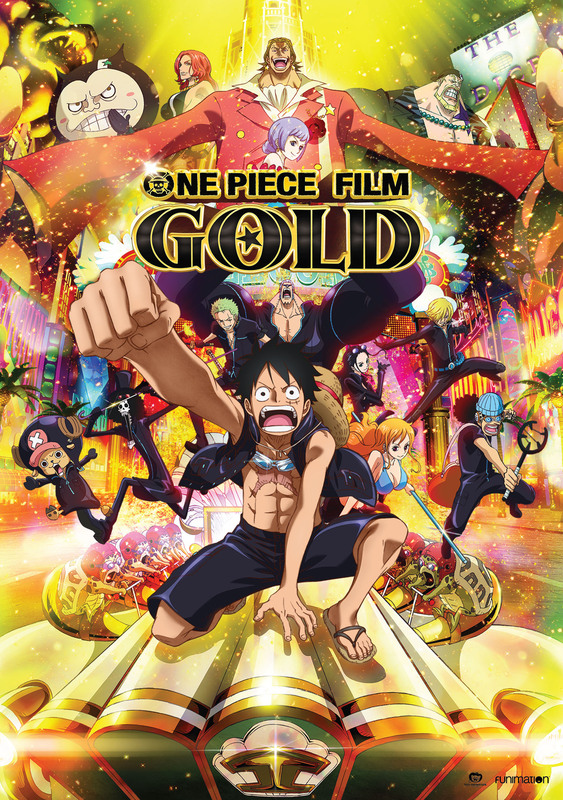 In this Las Vegas like island ship, Luffy and his friends discover a dark secret behind the owner, Gild Tesoro, of the island and must find a way to save Zoro from being a golden prisoner. 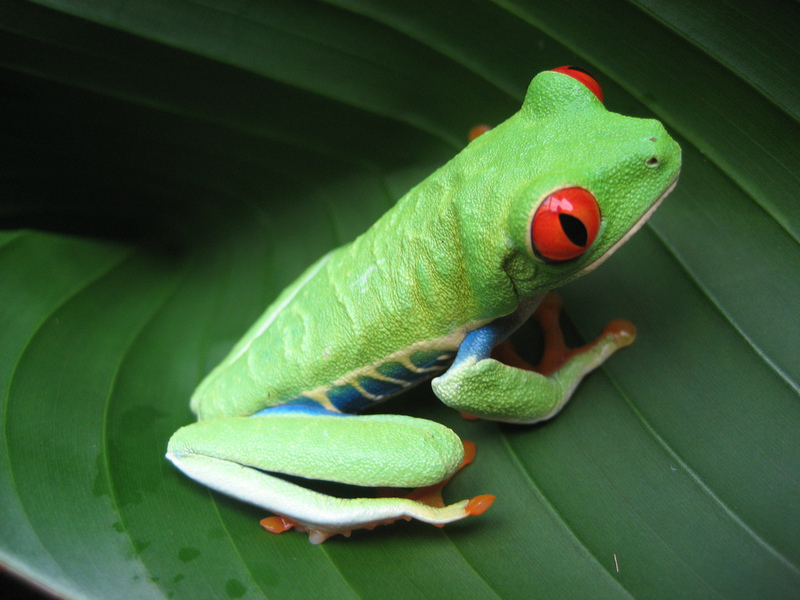 GIld Tesoro is the owner and he has the power to turn anything gold! It’s Rubber vs Gold! This is actually my first ever One Piece Film I seen. I missed out on watching Film Strong World and Z. Aside from that, I really enjoyed the English from Funimation. It has been a long time since I heard the cast in English and the last time I saw English Dub One Piece was in Toonami; however, the anime was removed from Toonami and replaced with other series. This film was beautiful and epic and seeing Luffy fight was an eye catcher. I did enjoy the music in the beginning of the movie. Taking place after the events of the story, Yugi and his friends prepare to graduate high school. Meanwhile, Seto Kaiba tries to find ways to bring back the Pharaoh Atem from the spirit world. However, this attracts the antagonist Aigami (real name Diva) and once again, Yugi must return to dueling to stop both Kaiba and Diva. Diva goal is to rid the world of evil and corruption but Yugi must stop him before he takes over the world. This movie was done by the creator of the manga Kazuki Takashi. Just like Pokemon, this movie is another thing Allison and I enjoyed the most. What was amazing this movie was the English Dub. If you don’t know what I mean, the cast of the English Dub is from 4Kids and even the anime was done, the original cast came back after all these years played the role of the characters. In a funny way, it is like a reunion of our childhood. Allie and I saw the characters grow up and act like the usual habits like the Saturday morning shows. 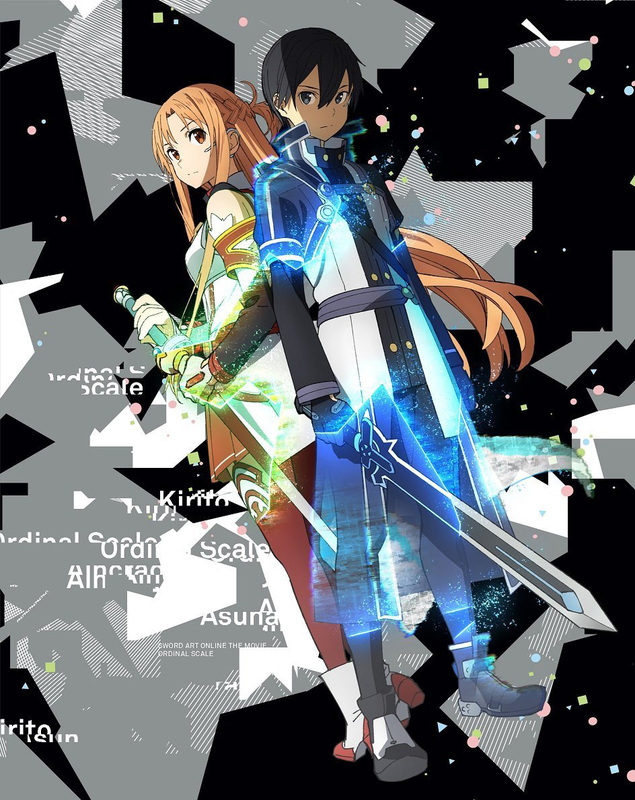 Taking place after Season 2 and Mother Rosario, a new gaming experience called Ordinal Scale shows up and players with the Augma can play games in AR! Kirito and his friends play in the real word in a virtual reality simulation. Even though Kirito doesn’t enjoy it, Asuna takes the spotlight of the movie and shows off her skills. However, the movie takes a turn to the worse when someone is attacking survivors from the SAO incident. It’s up to Kirito to find out what is the true purpose of Ordinal Scale and why recreate the monsters from Sword Art Online. The movis was done by the light novel auther Reki Kawahara. If you knew me, I love Sword Art Online. When I first heard about this movie, I was hyped. When Shay did a video giveaway for tickets to Sword Art Online: Ordinal Scale, I immediately entered. I didn’t win but thanks to God, I got picked and I won. I went to see the movie it was released and I only saw it in English Subbed. I also got to watch it with my friend Allie. We enjoyed every moment of the movie. This movie had tons of Asuna action and it had an amazing LiSA song. More importantly, this was my first time watching an anime movie on the big screen and being surrounded by SAO fans. I didn’t experience this alone. It was the best time of my life. These are my top 5 anime I enjoyed in 2017. Please go and check out Allie’s blog at her site. Allie, you are reading this post, I want to say that after everything we been through in 2017 and whenever talked about anime, let’s do it again for 2018. As a knight of my word, let me stay with you my queen! God bless you Allison. To start the year 2018, Disney XD will be premiering a Pokemon movie marathon starting at New Years at 10 a.m. sharp. 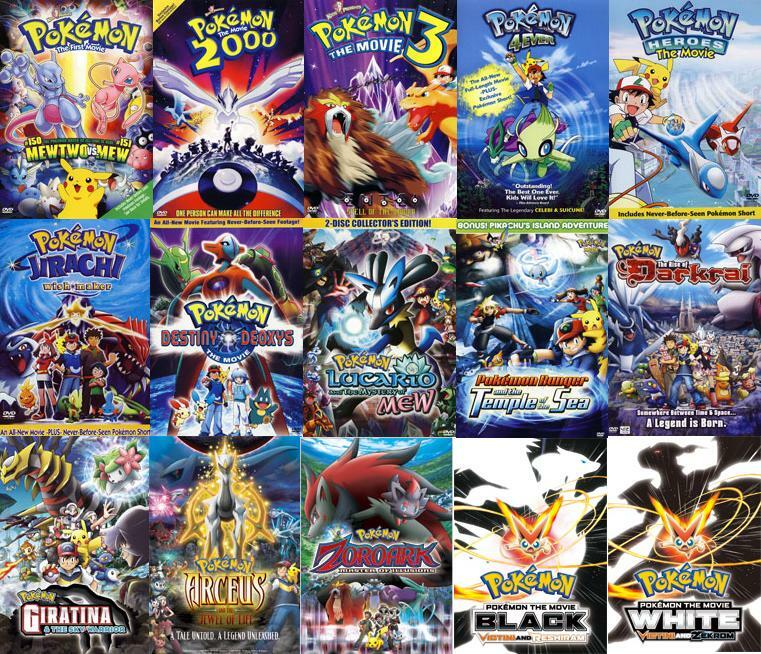 At the beginning of the marathon, Disney XD will premiere the first three Pokemon movies, Pokemon the First Movie, Pokemon the Movie: 2000, and Pokemon the Movie: 3. The site also mentions that on Jan 2nd, Disney XD will be showing the rest of the movies and TV series all the way to January 19. The marathon on Jan 2nd will begin at 3:30 p.m.. 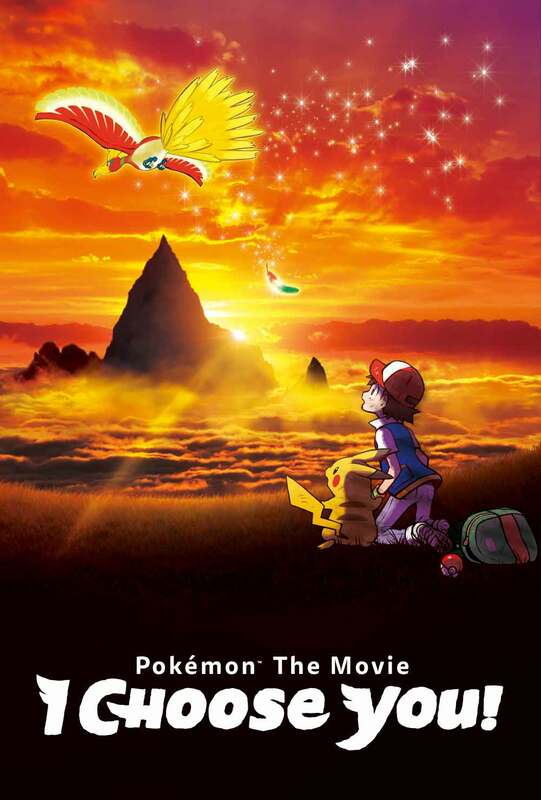 The last and current movie that will conclude the marathon will be Pokemon the Movie: I Choose You! The end of the marathon will be at January 20 and 21 when they start running encore movies. Ash meets the Mythical Pokemon Volcanion when it crashes down from the sky, creating a cloud of dust—and a mysterious force binds the two of them together! Volcanion despises humans and tries to get away, but it’s forced to drag Ash along as it continues its rescue mission. They arrive in a city of cogs and gears, where a corrupt minister has stolen the ultimate invention: the Artificial Pokemon Magearna, created 500 years ago. He plans to use its mysterious power to take control of this mechanical kingdom! Can Ash and Volcanion work together to rescue Magearna? One of the greatest battles in Pokémon history is about to unfold! The Mythical Pokémon Hoopa is the star of Pokémon the Movie: Hoopa and the Clash of Ages! 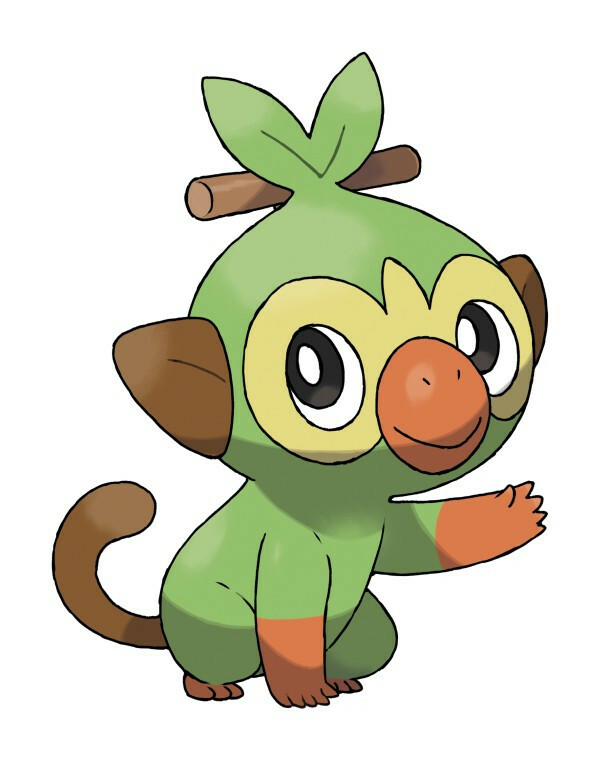 When Ash, Pikachu, and their friends visit a desert city by the sea, they meet the Mythical Pokémon Hoopa, who has the ability to summon things- including people and Pokémon- through its magic ring. After a scary incident, they learn a story about a brave hero who stopped the rampage of a terrifying Pokémon long ago. Now, the threat that has been bottled up for years is in danger of breaking loose again! Can Ash help his new friend overcome the darkness within… or will a dangerous secret erupt into a clash of legends?